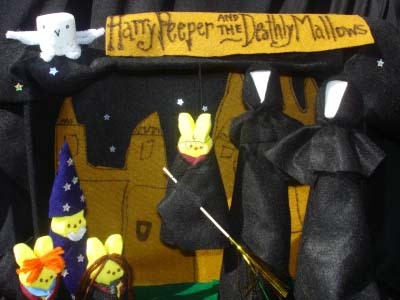 MONDAY, APRIL 1ST THROUGH FRIDAY, APRIL 19TH: ENTER OUR "APRIL LITERARY PEEPS DIORAMA CONTEST"!!! 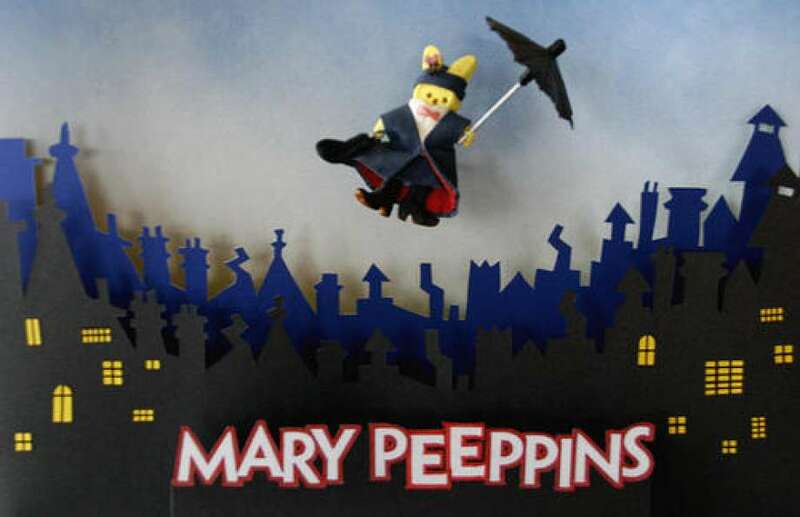 Who doesn't love Peeps at this time of year? 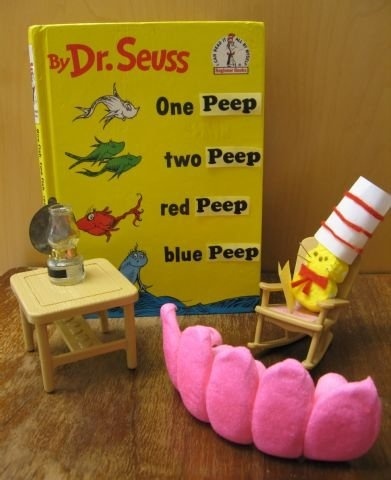 Simply submit, either individually or as a family or group, a diorama representing one of your favorite books and featuring Peeps in some way. (If you submit as a family or group, one person should be named as the principle designer for prize purposes.) Submissions should be no larger than a shoe box (of course, some shoe boxes are bigger than others) and must be original. They must be turned in at the cash counter by 6 pm on April 19th. Please don't copy any of the examples below or anything else you may come across on the Internet. Then, beginning Monday, April 22nd, we will display all entries throughout the store, and on Saturday, April 27th - Independent Bookstore Day - the three prize winners will be announced. So, don't procrastinate. 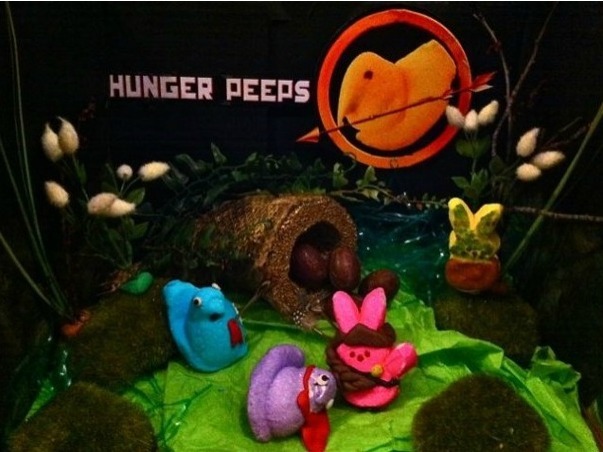 Get your Peeps now, choose your book, and start planning! 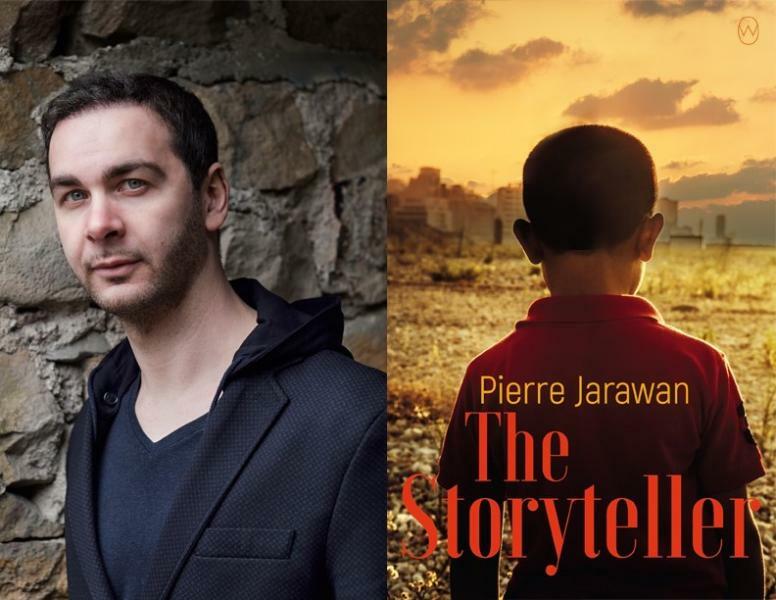 FRIDAY, APRIL 26TH: We are fortunate to be able to host German-Lebanese debut author, Pierre Jarawan, during his U.S. book tour for The Storyteller. While the location venue hasn't been determined yet, mark your calendars for 7 pm. Jarawan, who left Beirut at age three with his Lebanese father and German mother at the start of the civil war there, is an award-winning slam poet in Germany and was voted Germany's Literary Star of the Year in 2017. His debut novel follows a son from Germany to Lebanon in search of his missing father. Similar to the way Khaled Hosseini gave us an understanding of Afghanistan, Pierre Jarawan takes us on a journey to his father's country, Lebanon. His vivid writing is able to evoke urgency and empathy where factual reporting can’t. His events promise an exceptional, inter-active learning experience as he uses beautiful images of Lebanon to explain its history and culture, interspersed with readings from the book. While The Storyteller hits bookshelves on April 2nd, if you pre-order your copy now by calling the store (435-619-8200) before that date, you'll be able to purchase it at a discounted price of $17.00 on the night of the event. More intimate than a big box store or even the library, The Book Bungalow in downtown St. George will help you disconnect, browse, and indulge your senses the old fashioned way--using quiet, a comfortable chair, and your imagination. If you want speed and discounts, stick with Amazon. Remember, however, that a better experience is worth more. 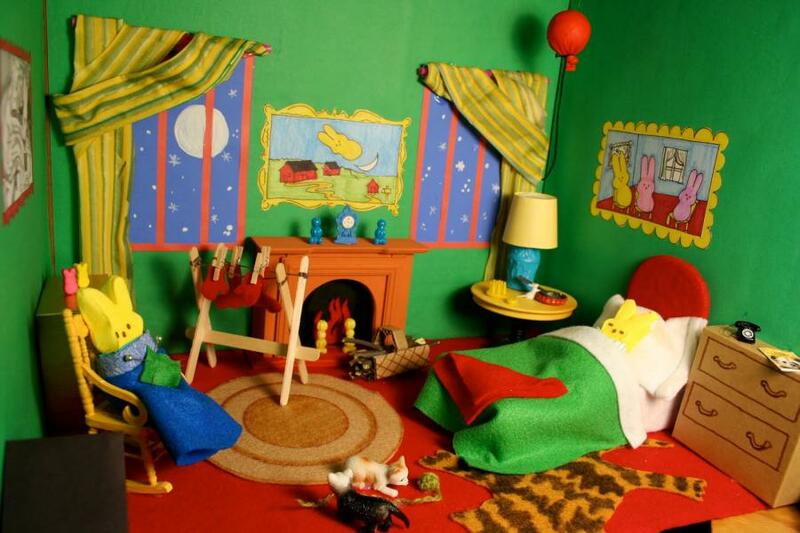 if you want to slow down, explore, and discover new worlds, The Book Bungalow is your perfect refuge. As you find a book, take a sip of your favorite beverage, turn the page, and settle into one of our comfy chairs, your body will sigh in relief, grateful for the respite. 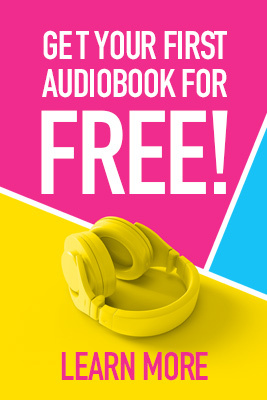 You can come simply for the books, with new discoveries in almost every genre. You can come to meet as writers or to discuss your latest book club pick. 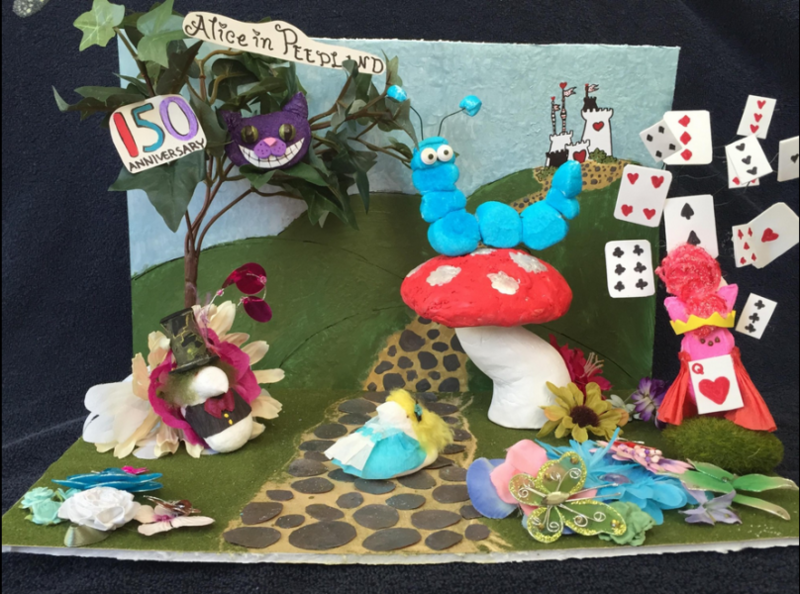 You can participate in writing workshops, poetry readings, kids’ story time, TED Talk discussions, music nights, and author presentations and signings. You can even compare reviews of the latest bestsellers or simply talk books with the Bungalow staff. Believe it or not, The Book Bungalow is the first bookstore in all of Southern Utah offering new books and all the events associated with literary life. 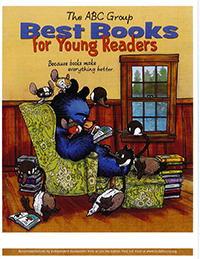 We have wonderful libraries in St. George and surrounding communities, but even libraries can only do so much. There is a used bookstore in town that provides a valuable service, but it offers no opportunities to gather, to pull readers and writers together. The Book Bungalow wants to do just that--serve as a meeting ground for book lovers and artists, as well as musicians and actors. We want to instill a love of reading and literature in our youngest citizens and watch them grow up and bring their own children to our store. We want to forge strong bonds within our own community and draw in residents of Santa Clara, Ivins, Washington, and beyond. Indeed, we aim to be the literary soul of Southern Utah.